We're adding more all the time, so check back often! We're currently focused on building the GEDCOM Database and gathering information, so if you have information, please contact us. Explore our detailed GEDCOM database to learn more. Note: requires registration. Find other details about the Ruppe and related families here. 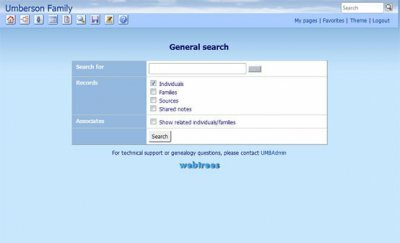 Explore our GEDCOM Genealogy Database to see the relationships and families represented. If you are related to a Ruppe or any of the other family surnames that are related to the Ruppe's, please contact us!